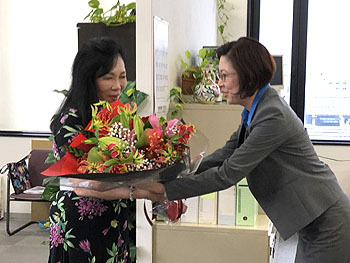 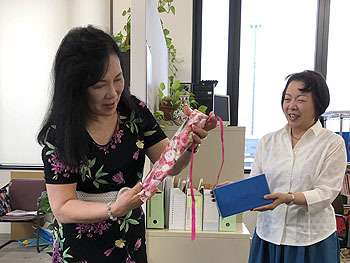 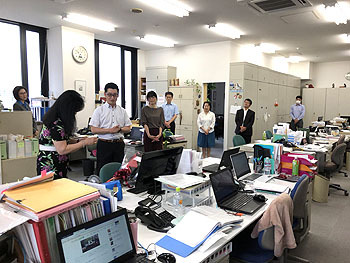 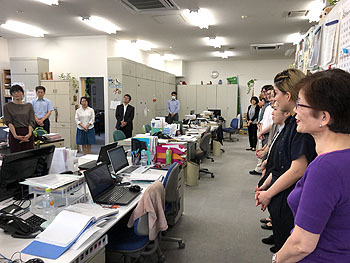 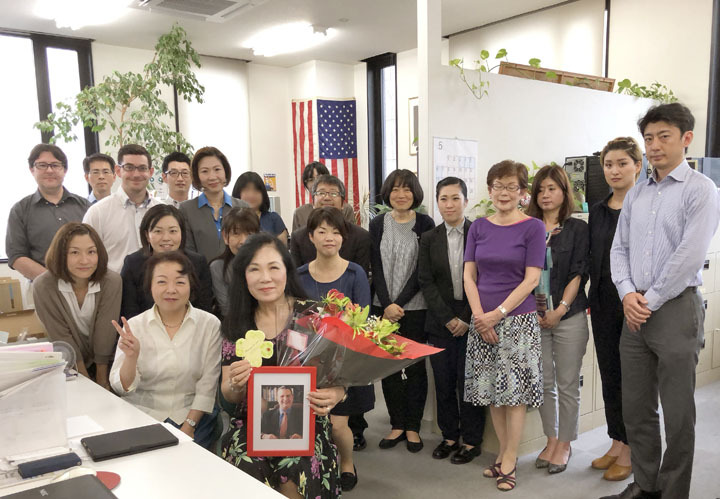 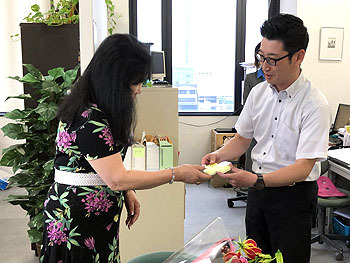 We held the birthday ceremony for the company's president, Ms. Kinoshita this Friday, two days earlier than her actual birthday on May 20th. 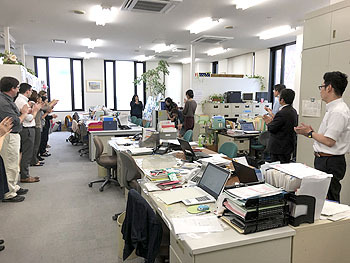 We began the ceremony by singing a birthday song. 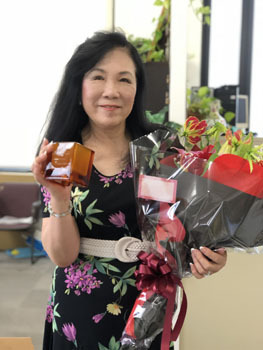 Representatives, then gave her flowers, gifts (aroma light & oils) and messages from all staff members.